Do you know that passing an examination is much more than “luck”?. It entails adequate preparation. This comes with the confidence that has been built through working earnestly at studying the relevant materials that is related to that particular exams. It’s very clear and obvious that no material is more relevant and powerful than past questions. It will enable you to face your examination with interest, zeal, and confidence. Make you better equipped to overcome the post UTME Bridge. You can’t talk about adequate preparation for exams without laying your hands on one or two past questions and answers. WHAT MAKES OUR PAST QUESTION COMPILATION STANDS OUT? Extra efforts have been taken at proof-reading to ensure that typographical errors are reduced if any. We’ve adopted an approach, aiming at leading the students step-by-step, through the logic and methods required to select the correct answers in the objective questions. Unlike other books, our past question and answers compilation does not only give answers but also explains why the answers so selected are the most suitable of all the options. Many students who use our past questions scores as high as 300+. Such candidates have already cemented their place in the admission list. The major complaint most candidates have in the exam is lack of adequate time. My comment on this is that there isn’t an enough time for any examination. The 1 hour given makes the reason why it’s called aptitude test. These are simple questions you can finish in 45 minutes if you know exactly what you are doing. So, lack of time is not an excuse at all. Okay, if you are complaining about lack of time and scored 122 out of 400, what of other candidates who score as high as 300? It’s all about orientation and preparation. What is their secret? There is no secret at all, they had probably used UPDATED Post UTME Past Questions and answers. In an effort to ease your work load and boost your Admission chance, We’ve compiled a comprehensive booklet which contains past Aptitude test questions and answers since (2006 – 2016) for post UTME. CAN PAST QUESTIONS BE REPEATED? I had to start doing research to come up with an authentic result. Here’s what I discovered. I’ve discovered up to 214 questions in FUTA UPDATED Post UTME Past Questions that have been repeated from 2008 to 2013. Example in FUTA UPDATED Post UTME Past Questions, I saw 411 repeated questions from 2009 to 2016. Other universities have similar result from our research. So! Why won’t you pass well if you bought aptitude test past questions from trusted sources? DO WE HAVE ALL THE UNIVERSITIES POST UTME PAST QUESTIONS? Most student actually lay hands on any material that is found within their reach all in the name of preparing for an examination. The issue does not lie in laying hands on random past questions and materials that wouldn’t help in the success of your exams. 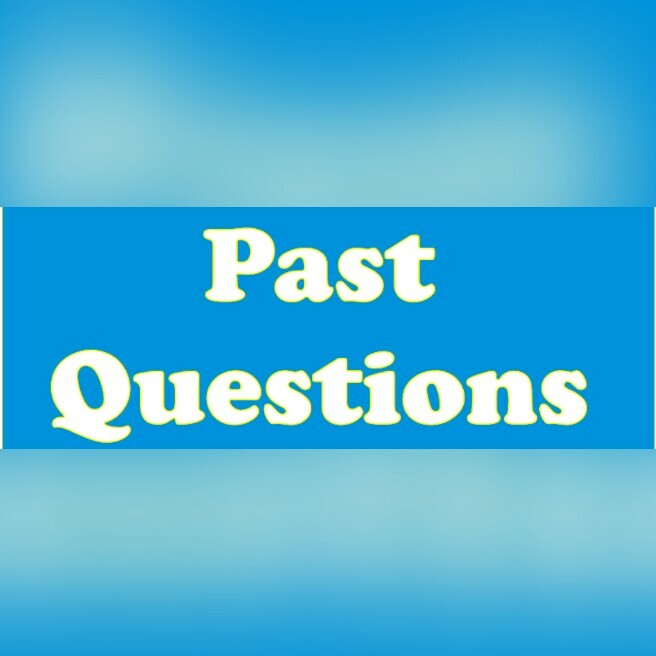 As earlier stated, one of the most powerful source of material to read during the course of preparing for an examination is an updated past questions. There is always a 90% possibility that a student who studies more than fifteen (15) past questions as regards his/her subject of study is likely to pass with ease. This is because questions that are usually asked can never digress from it impeccable source of originality, which is the text book. One should understand that these questions were gotten from the textbooks that were allotted to the students, and by reading up good related past questions, you are technically reading your text book also. It is as simple as that! There are several reasons why students fail exams. It could be due to lack of preparation, limited information, lack of awareness and so on. And most importantly, the inability to look up relevant past questions and answer. Now the next big question is, where do I buy original updated past questions of any sort here in Nigeria??? 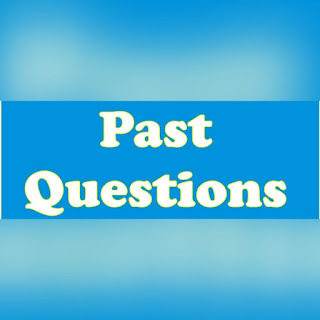 We quickly introduce to you https://www.skelewu.com, this is the best and most trusted source of past question, we recommend them, because they often try their best to make sure that their past questions is up to date and always accurate. The take time to painstakingly provide accurate answers and reasons to why those answers are chosen. If you really need a professional and trusted past question and answers both for schools, interviews, job and lots more, that means www.skelewu.com would be your best shot. Lot of testimonies and recommendations by a lots of people are heard everywhere due to their hard work and uniqueness in what they do. ww.skelewu.com provides original past questions with the sole aim of enhancing the chances of your passing exams with ease. So you can contact www.skelewu.com today for your past questions and answer. Past questions are very helpful but certainly not the most effective. Having said that though, kudos for your efforts. Cool write up but the story too lengthy for what eventually you were selling. Why not just go straight to the point? It's all good sha. Thumbs up. what an educative update been posted by our admin love to see more on this blog.